PSA tools built around service desk-based operating models are notoriously bad at project management. The project area seems to be an afterthought, inserted because even MSPs need some kind of project capability, but not really integrated or thought through. With our latest version (4.17) we believe we have made a major step forward in being the first PSA tool to combine no-compromise service desk and world-class project management functionality in the same low-cost package. As an example of our thinking, this blog explains how our inbuilt Work Breakdown Structure (WBS) thinking, combined with Earned Value accounting and support for Agile methodology can deliver this. Why did we deliver both traditional WBS support and also Agile support? Well, Agile is great for internal development work which is resource (budget) per period constrained. It allows you to measure velocity and adjust your through-put of feature development based on your internal affordability. But, it is not so great when it comes to client work which may be on a Fixed Price or even Time and & Materials with an upper limit contract basis. For that type of engagement, traditional planning-based delivery tied to revenue recognition is more practical. So we provide both and allow our customer to choose, engagement by engagement, how they wish to run things. To add more detail, our WBS structure is a hierarchical decomposition of a project into logical levels where each level has a defined purpose and a specific audience. Data held at the lower levels logically rolls up to create greater level of summary views. With the addition of deliverables we now optionally support a 5 level WBS. 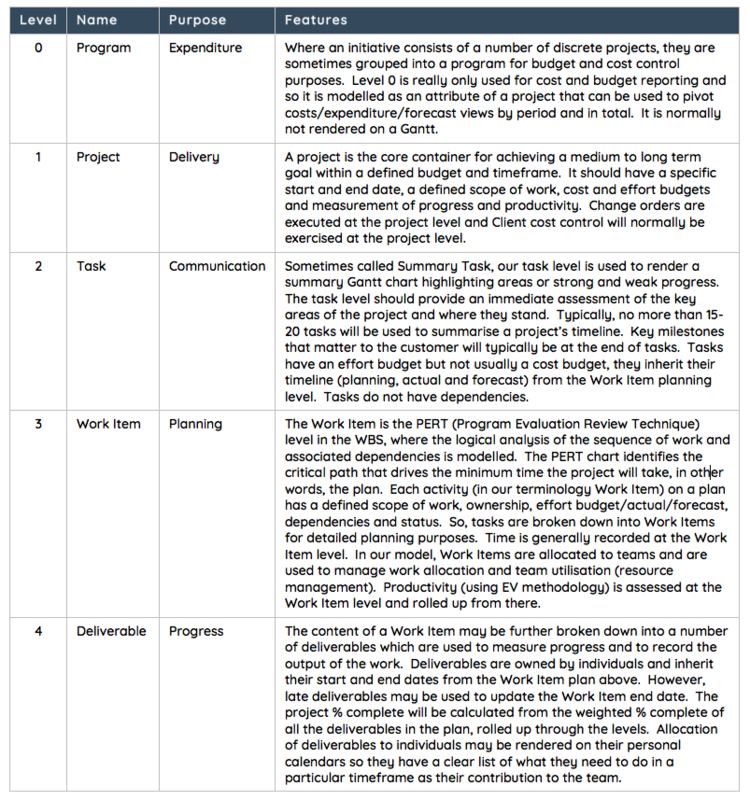 This breakdown uses typical planning terms to allow you to build, allocate and control a structured plan of work. 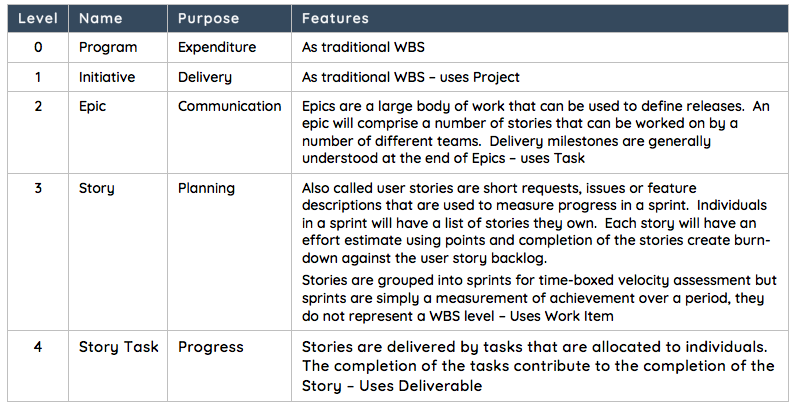 When used to run agile projects, effort estimates at the story level (and optionally at the Story Task level) are measured in points not hours. But, we need to convert points to time based on velocity in order to render utilisation (point capacity of the team). That ratio (known as the Velocity Ratio) is a parameter entered at the Project Team level and thus enables utilisation views to help assess the number of points each team can deliver. The velocity ratio can be updated based on sprint performance to calibrate future delivery. 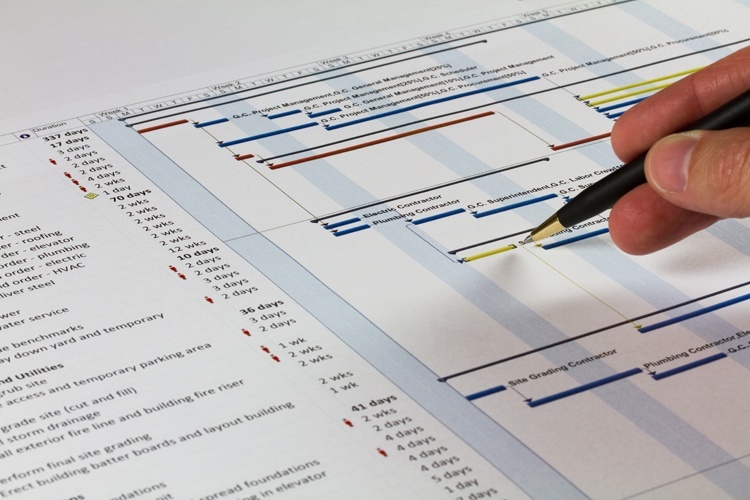 When running projects using agile, time bookings can be at the Epic level, saving time entry. So, whether you use Agile or traditional PM methodologies, or a combination of both, Harmony has a PM framework that will manage your resources and projects, the way you like to see them managed. And our service desk area is not only world class, it is fully integrated with the project area enabling (for instance) bug tickets to be raised against Work Items or Stories. One software product for your whole business, without compromising on functionality.